Domain Name Servers – What The Heck Are They? Have you ever wonder how does the browser work? 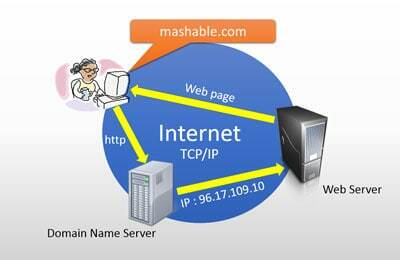 Why do you need this thing known as the Domain Name Servers (DNS). What exactly is a domain name server? Well, a Domain Name Server’s primarily function is to translate (or the resolution) of domain name such as WillTan.com, which can be easily remembered by humans, to its respective hostname or IP (Internet Protocol) address. If you go to the browser’s URL bar and enter WillTan.com, you’re sending a HTTP request via the browser to the Internet which will lookout for the (nearest) name server so that it can resolve the domain WillTan.com to its respective IP ie. 192.185.148.137 so as to locate the web server that is hosting WillTan.com. Only then, the web server will return the webpage, in HTML or PHP (if it’s a WordPress), to be displayed at the browser. That’s how browsing works!